Although any family’s history is subject to faulty memory, incomplete data, and revisionist thinking, my desire is to encourage all who visit this site to realize that amazing relationships can spring out of following God’s calling. And if you gather little bits of wisdom and insight in the process, even better. In the attempt to chronicle the heritage handed down to me, I hope to show how each member of our family boldly fought against the common culture to make a difference in our lives, both now and eternally. In the early 1980s, families across America were hearing the same call to a revolutionary way of thinking—a radical re-invention of how families operate—and a call to self-sacrifice. In sharing my family history, I hope to show how God prepared us for just such a time. Most every worthwhile homeschool experience develops through trial and error. There is no “one size fits all” formula to guarantee success. But there are certain elements which should be included in every home education process. A wife, mother, author and speaker, Karen has homeschooled for 25 years and has a heart to encourage and equip women for all they are called to do. She has been a guest on several local TV stations and is a highly-requested speaker throughout the southeast for church groups, homeschool groups and civic organizations. 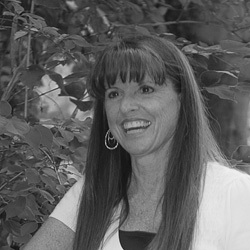 She is completing her masters degree in counseling and teaches Bible studies and literature classes to homeschoolers. An energetic, enthusiastic, veteran home educator, she has spoken to and motivated thousands. She has homeschooled a doctor, an accountant and a nurse but is queasy at the sight of blood and cannot balance her own checkbook.